We made so many amazing things happen in 2017 with Riverstone International School, and I cannot wait to see what we accomplish together in 2018! 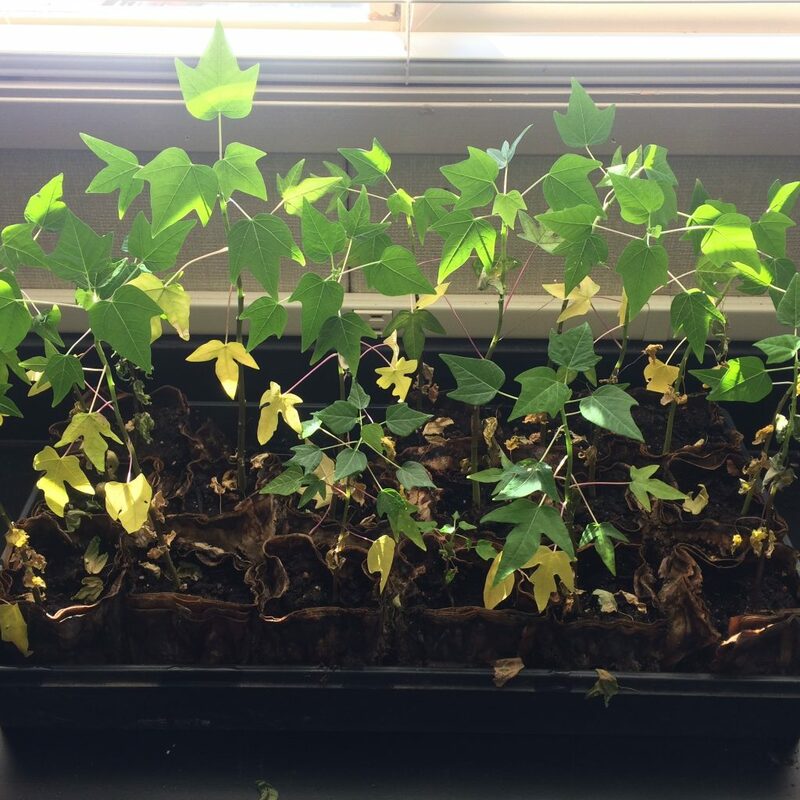 In January we applied triple-bottom line thinking to our landscape and provided blueberry plants to every lower-school class for planting and place-based pollinator education! In fact, a continuous theme of the 2017 year was creating pollinator habitat and normalizing the presence of pollinating insects and animals on campus. The focus on pollination ensures that each and every student at Riverstone understands the importance of insect and animal facilitated pollination for the creation of seeds and therefore delicious fruit. 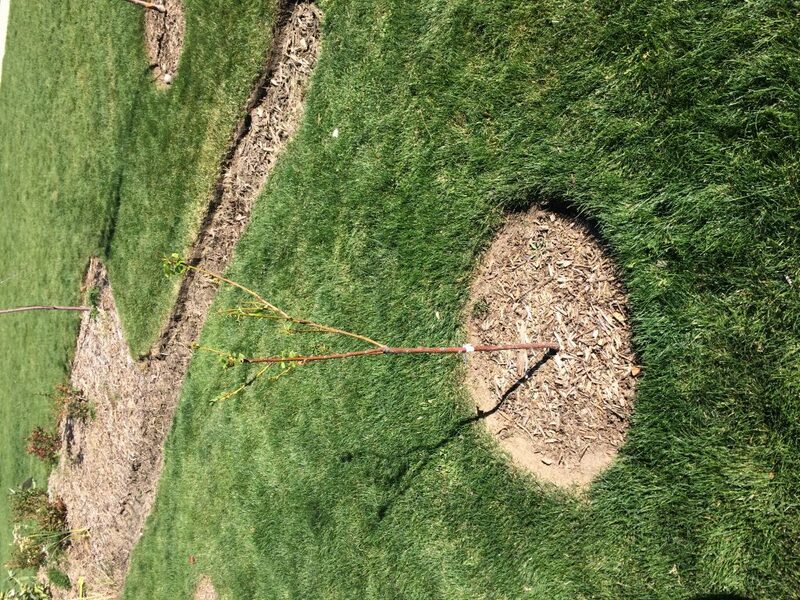 We hosted a Green Apple Day of Service event to further expand the pollinator garden area and plant new fruit trees! 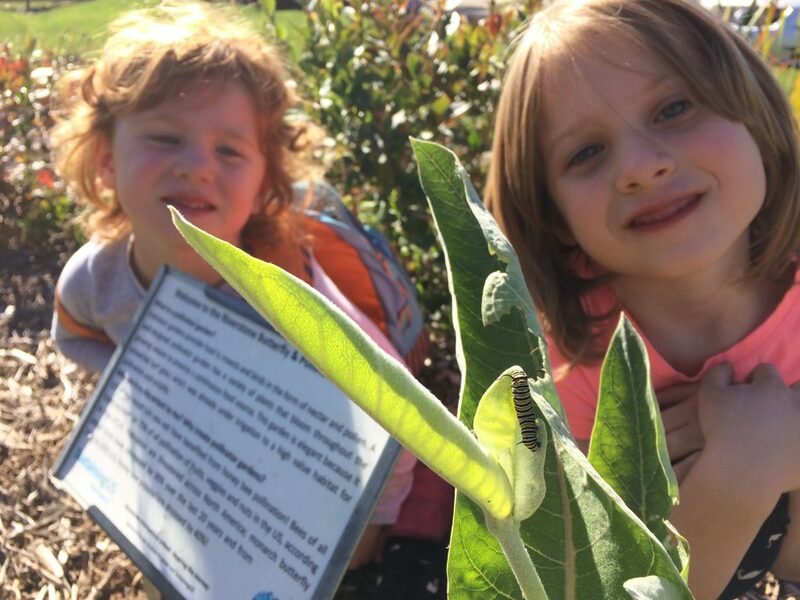 There are some successes that are benchmarks, and this is one of them: our first monarch caterpillar! If you plant it, they will come. I love the magic and mystery of mushrooms. 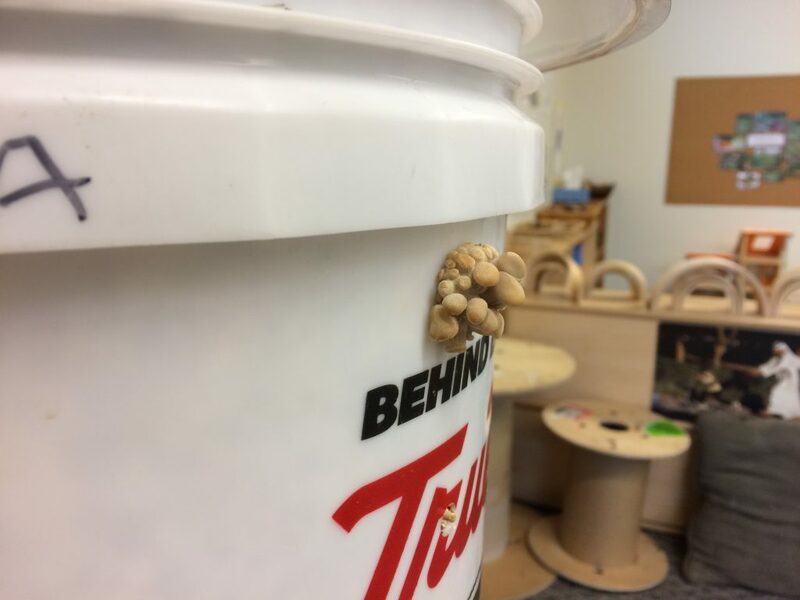 I love even more being able to unlock some of the secrets of mushrooms and make that magic come alive in the classroom! Last spring, we grew oyster mushrooms with the pre-K using recycled paper and cardboard from their classroom. The students watered and cared for the buckets while the mushrooms developed, then the class feasted on their harvest! This was such a yummy and successful project that we have already planned to do it again in 2018. 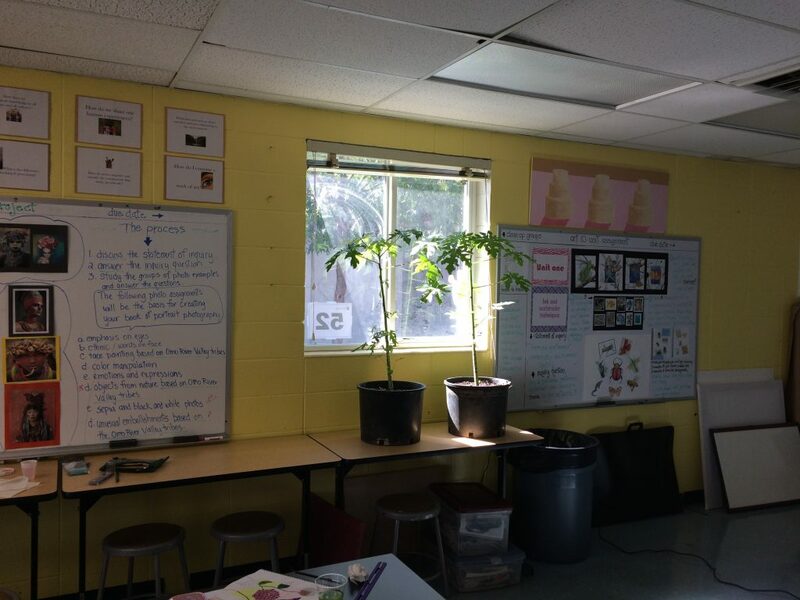 Plant Club and their projects are thriving! 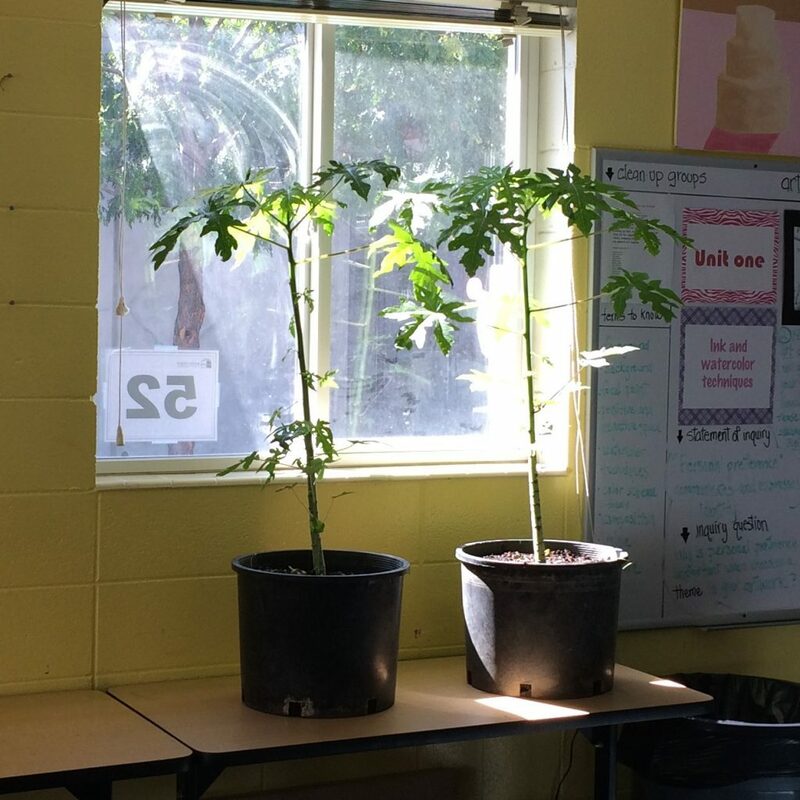 We have done so many awesome things during our weekly meetings, and the baby papayas are growing up quickly. The RIS vegetable gardens are still going strong. Our summer harvest was of varied success due to irrigation issues but we were able to make tomatillo salsa for the Vege Club and many of the elementary school students to enjoy! In the fall we planted a winter stir fry garden (blog post coming soon) and covered it in hoop houses, and are now looking forward to a delicious spring harvest. The Parents Association made a generous donation of Green Cone food digesters which the Plant Club “planted” in the gardens. 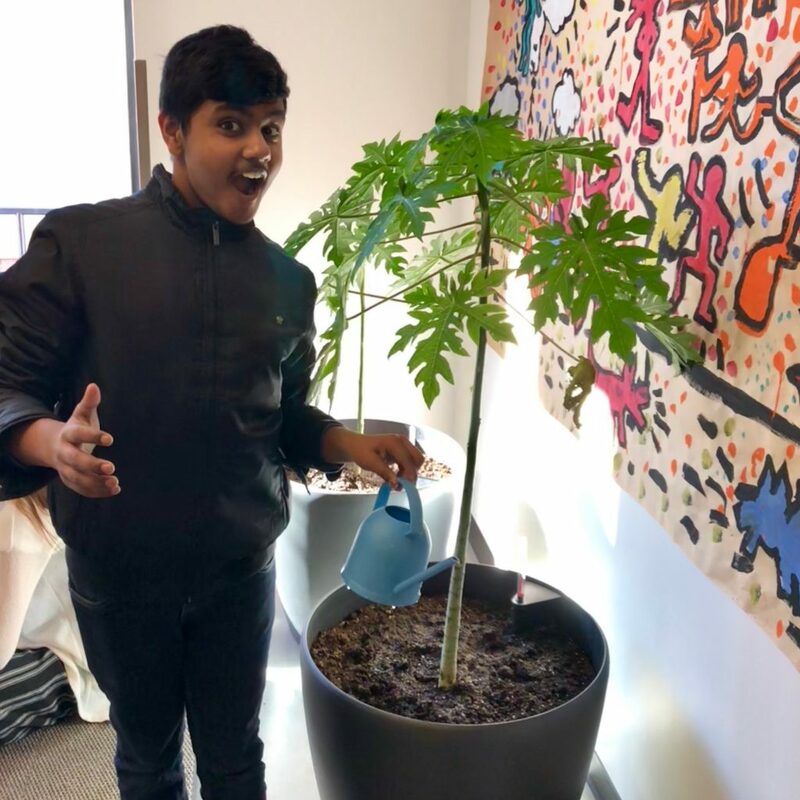 Now, RIS students have the resources to divert all their organic lunch and snack waste from the landfill and improve their gardens for better future harvests. The school administration has been making good sustainable choices too! In addition to making Ben’s position official (Sustainability Coordinator), they have been addressing many landscape and administrative challenges. The school grounds got a face lift over summer break, with lavender and drought-tolerant grasses installed in place of more water-hungry plants in many of the beds. 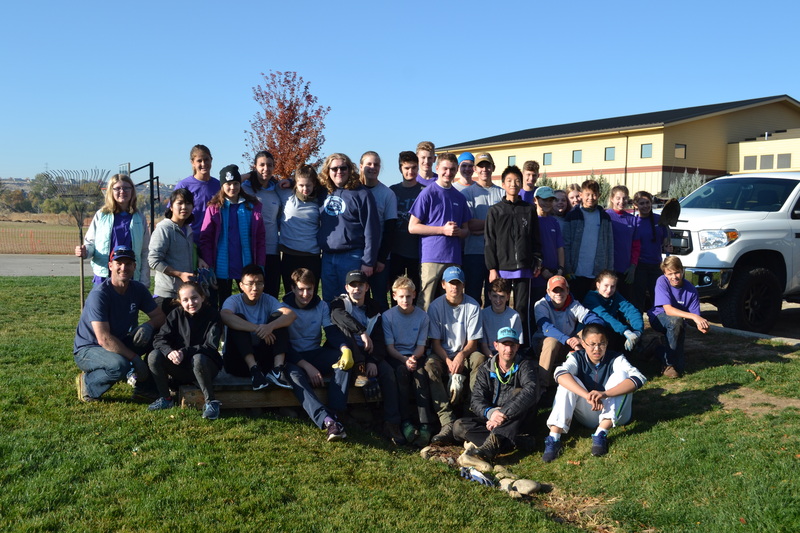 The soccer field was also redone – the old turf was removed and the irrigation transferred from city (potable) to shallow well water, and new turf was seeded. If the turf establishes well it should out-compete the weeds and allow for reduced maintenance on the soccer field. What a great proactive approach! Over the course of the 2017 year the triangle project started at the Elementary School. Design Technology students and contractors have cleaned the triangle to a blank slate, and final design (by the Design Technology students) and installation will take place in 2018. “The triangle,” as we have named it, was previously a turf triangle with three trees, but will be turned into a native and food-producing student-designed learning space. We are already part of the way there, with new mulch and big rocks to sit on, but we will let you know more as this exciting project progresses! We are excited to see the school taking steps towards exploring enriching place-based educational opportunities while conserving resources and creating habitat. Riverstone also earned its first Energy Star certification for the Elementary School in 2017! Energy Star certification is a great way to increase awareness about the money saving opportunities and superior educational environments that can be provided with deliberate planning and green building practices. Earth Week 2017 was a huge success, partly due to the administration opening a space and time for us to hold a meaningful assembly and Earth Day Food Truck Rally! Finally, we got approval to start an Integrated Pest Management program at Riverstone! This is a really big deal with regard to how we manage our pests and landscape – it shifts the focus from reactive to proactive pest control measures – and I am really excited to see how we implement this program. One amazing thing that could come out of implementing an IPM program is Bee Campus USA certification. 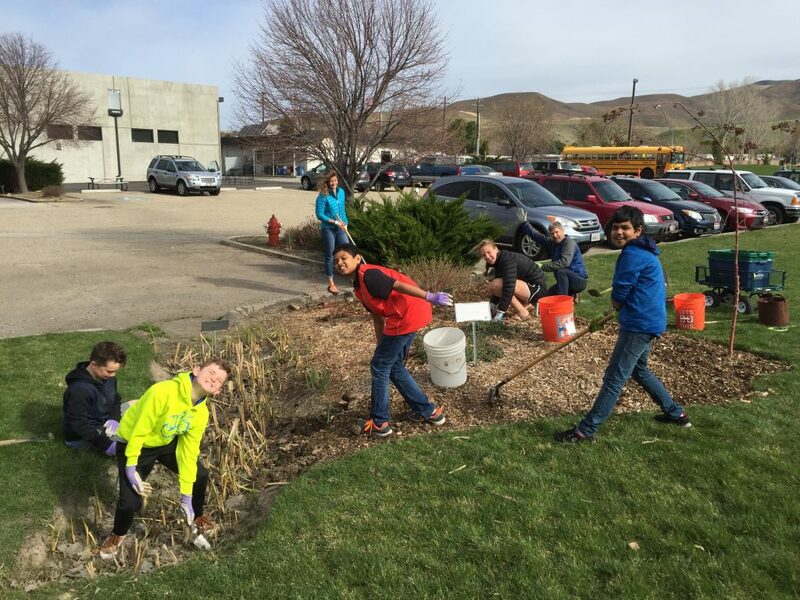 A formal IPM program, along with our pollinator garden and signs, could help us qualify to be one of the first schools to receive the K-12 Bee Campus certification. We will BEE reporting on progress as it happens! 2017 was a busy year! I am looking forward to seeing what 2018 brings for SustainingUS and Riverstone International School.